Above: An articulated hinge, modeled in SketchUp and animated using KeyShot Pro. One common request for animations is to render a complex or articulated hinge. 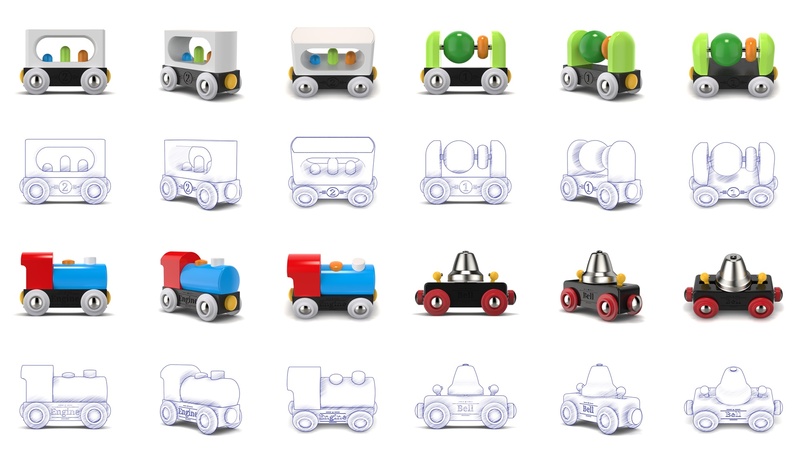 In order to achieve the best results, it’s necessary to organize your model in a structured way to make the animation process simple and reliable. In the example you see here, the structure has been grouped to accommodate this type of complex animation. The parts are broken into subgroups, each containing a pivot point and parts to be rotated. These subgroups are then nested in order to make a logical progression of animations, resulting in a nested series of of groups with each rotating around a specific pivot point. A step by step animation showing individual Pivot Points and the rotated subgroups. When this animation above is broken down, we see multiple pivot points (in red) acting as the rotation point for an individual animation applied to a subgroup. These were created by assigning a Rotation animation to a single subgroup, then assigning a Pivot point as the local rotation axis. This was repeated for each subgroup, resulting in nested animations which were then layered on the timeline. When the animations are played back at the same time, they appear to be a single, complex animation applied to multiple parts. The current system works best with a top-down scene tree hierarchy where you have parent groups at one level and parts or sub-groups as children. If the children need to follow the parent group’s animation, then a single animation is applied to the parent group. The children can then be individually animated within a subgroup to isolate the action to that selected level. 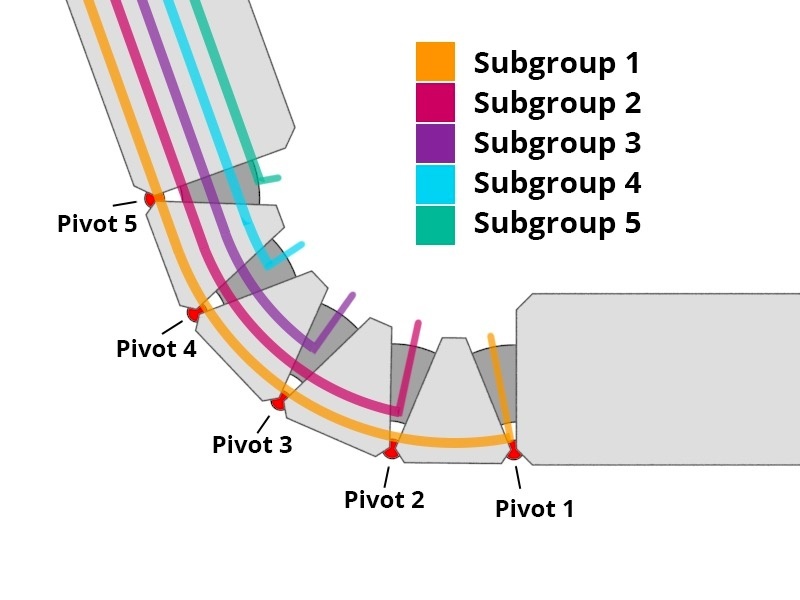 Illustration showing the subgroup breakdown and associated Pivot Points. 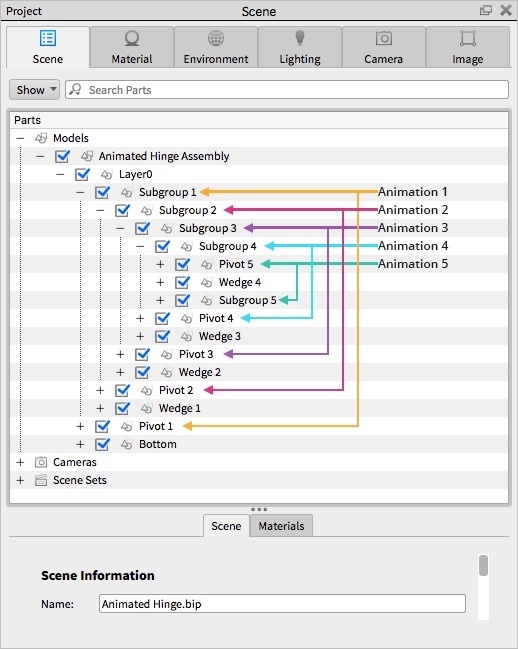 Screenshot of scene tree for this model with the animation relationships visualized. Each Subgroup was created with a specific Pivot to use as the rotation reference, and both were on the same level within the original model structure. For CAD users, the same structure can be used within an Assembly/Subassembly organizational structure to create a comparable hierarchy. This allows the individual Subgroup transforms (animations) to be completely independent from animations applied to the top-level model, so the top-level model itself can be rotated, faded, moved, etc. 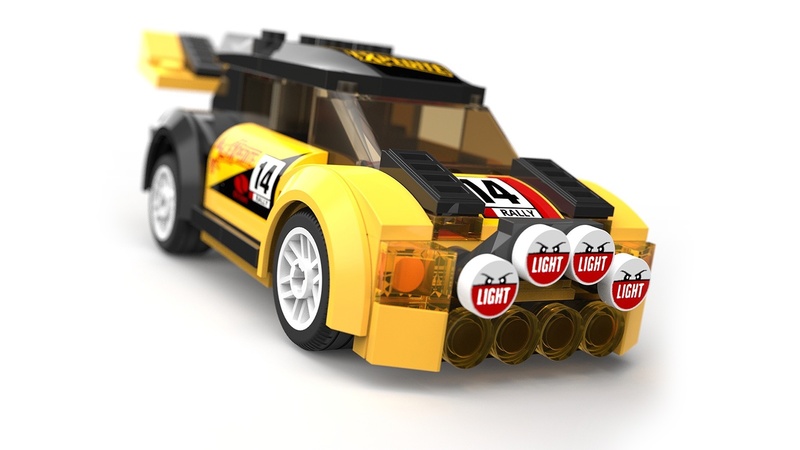 While potentially challenging to organize from a modeling standpoint, this structure gives you the most control and flexibility in creating amazing animations within KeyShot.